She was born July 15, 1949 in Milwaukee, the daughter of Richard and Florence (Hintz) Teschner. Donna was a graduate of Riverside High School in Milwaukee. She was employed in the insurance department at Cutler-Hammer Corp. in Milwaukee. Later, she worked as budget/finance supervisor for the Waushara County Clerk from 1982 until her retirement in 2014. Donna loved spending time with her family. She enjoyed baking, cake decorating and embroidery. She was a volunteer at the annual Wild Rose Fly-In. 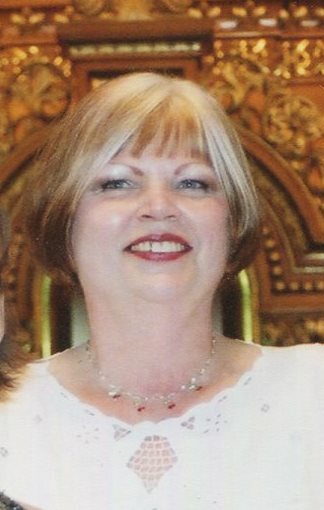 Donna was an avid fan of the Green Bay Packers and the Milwaukee Brewers. She was member of St. Joseph Catholic Church in Wautoma. She is survived by her brother, Richard (Rita) Teschner, Hartford; her niece, Tanya (Steve) Pliner, Mayville; her nephew, Jason Teschner, Hartford; her special great nieces and nephews, Cailie, Kendall, Marshall, Maxwell, Maddox, Jaxson, Taylor, and Emery; her beloved furry friend, McGregor. She is further survived by other relatives and friends. She was preceded in death by her parents. Visitation will be held on Saturday, Feb. 9, 2019 at St. Joseph Catholic Church in Wautoma from 9:30 a.m. until the time of services at 11 a.m. A Mass of Christian Burial will follow at the church with Rev. David F. Greskowiak officiating.